Feel Good Friday! – Run little gnome, run! 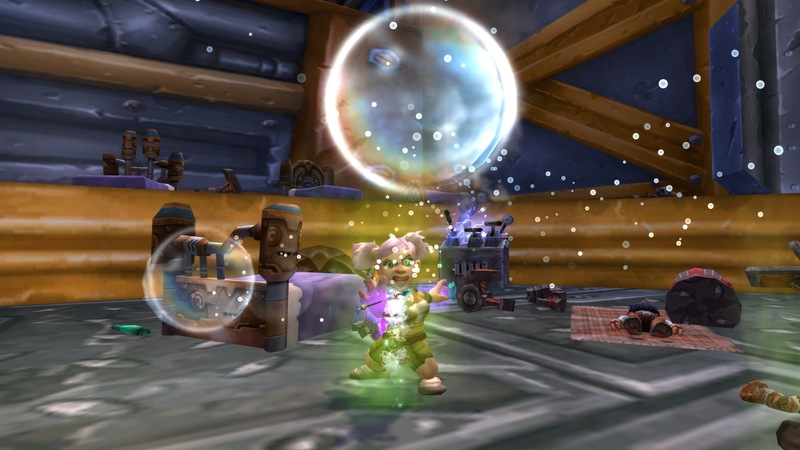 Never have I seen such maniacal bubble blowing! This year I was fortunate enough to catch the info that the annual Gnome Run was happening on Sunday October 25th (in Australia! Everywhere else it was on Saturday October 24th). The event is set up to raise funds for the Cleveland Clinic’s Tuohy Vaccine research program for a vaccine for breast cancer in adults. A very worthy cause. I set my alarm to make sure I wouldn’t miss it, and made myself an adorable (if a bit unhinged) gnome for the journey a few days before to make sure I was ready. 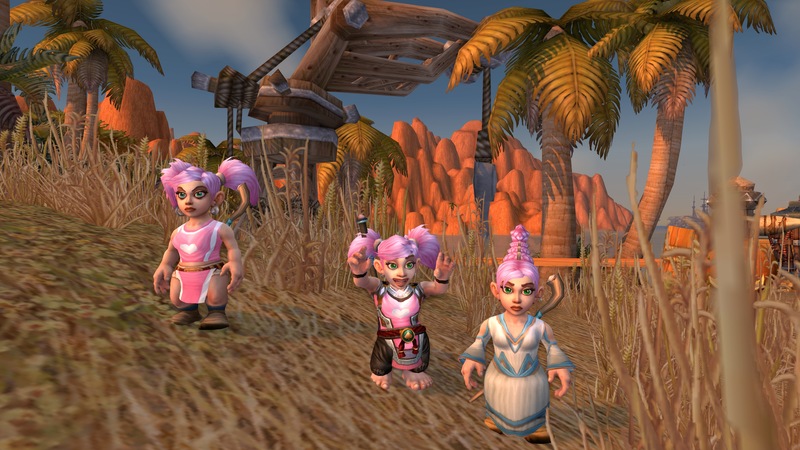 Tip for future gnome runners: Make your gnome before the day, and post them an Illustrious Guild Tabard or a Renowned Guild Tabard. These are both bind on account, so you can purchase them on a toon who has the gold (and the rep) and send it over. There is a mailbox at the starting room so you can get it straight away. 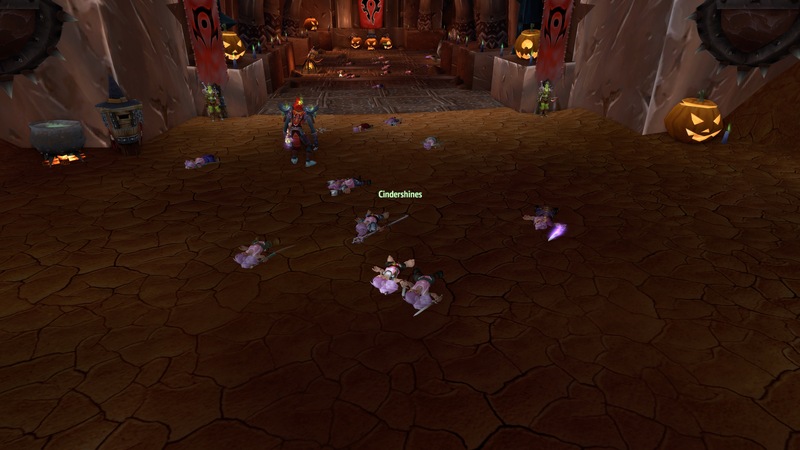 On Sunday morning after finding a new home for a certain pony, I headed over to the Scarlet Crusade server 2 hours early to see if anyone was there. 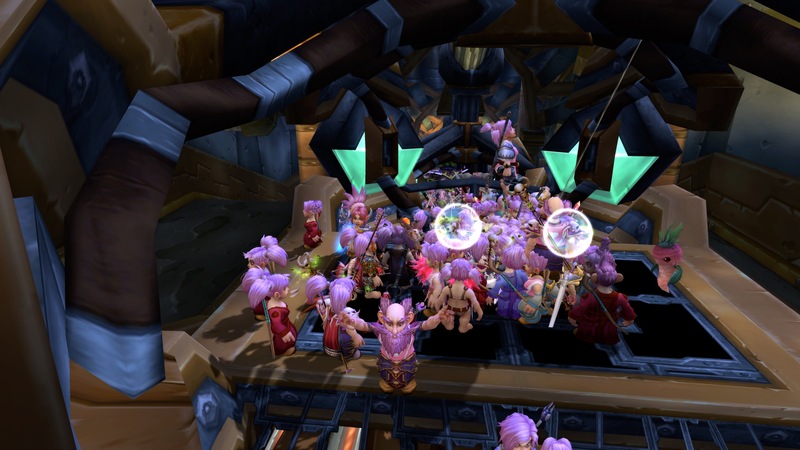 Already at that time the place was packed full of little pink haired gnomes jumping about the place. 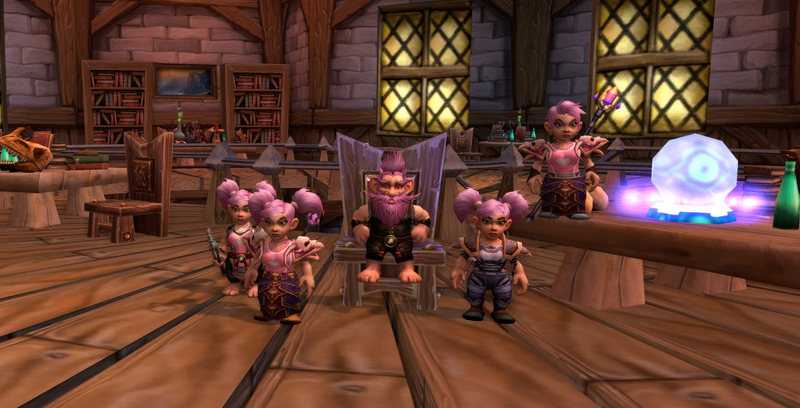 I was immediately invited in to one of the guilds, so my tabard changed to a bright pink. I was following what was happening on twitter and I could see that a few people, like myself, were quite early, but they were all hanging out outside. So I decided to do the handful of quests to get out of the starting area (you don’t have to complete the quests – it was just fun to). Me and Thor accurately represented as gnomes! We were also joined by Moogyver and Wingthequick. I was so grateful to be grouped up with them because I had absolutely no idea where I was going! I saw in chat that Elvine was streaming the event, so I booted up my other computer to watch it at the same time. I’m glad I did, because it helped with knowing where to go and what was happening. Then, it was time. The call was given, and our little gnome legs were off! Of course, as soon as we started running everyone disappeared. It felt like I was running all by myself. I tried to keep track of where to go by following Elvine’s stream. 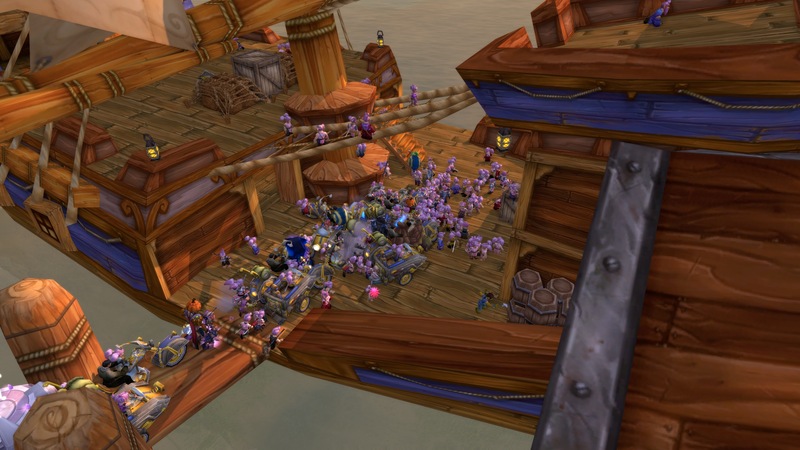 I made it to Iron Forge in one piece and got on a tram with hundreds of other pink-haired runners. MsMiggi, Spankyhunter, Moogyver, WingtheQuick and me! Eventually we made it. 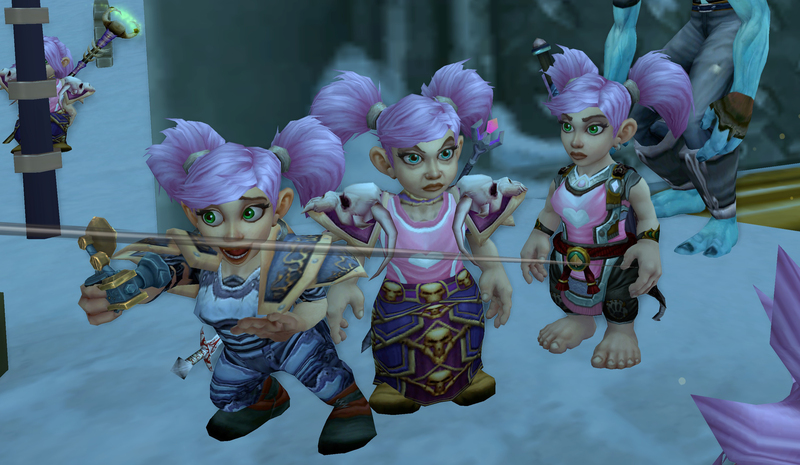 I missed the picture of the heart, which was a shame, but you can check out some pics on the official Gnome Run 2k15 tumblr site here. With the run officially over, the only thing left to do was to make a wild dash to Orgrimmar to lick Vol’Jin. So off we all went. 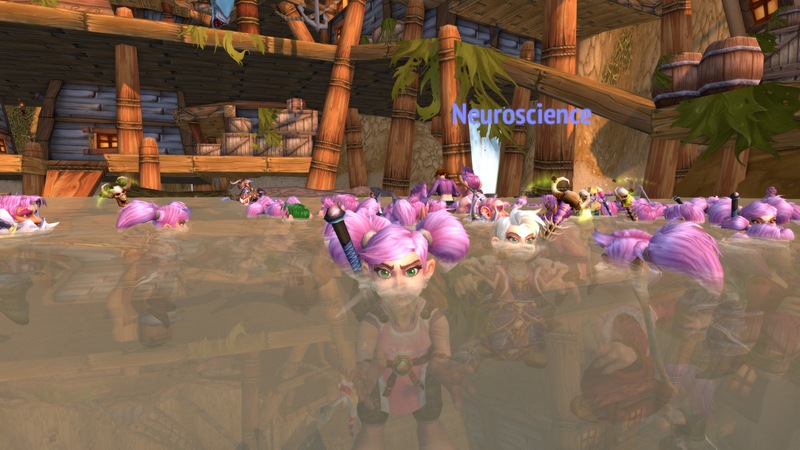 It was hilarious seeing some many pink haired gnomes get on to the boat. The reason I wanted to highlight this for Feel Good Friday! is not just because it was fun, but because it was a wonderful experience that we got to have as a group, and for a good cause. The event ended up having almost 2500 attendees! And has raised over $4000 (so far!) which is more than double the goal for the year. It gave me all the warm tummies being a part of it, and getting to “meet” some of the lovely people I interact with each day on twitter was wonderful. I love seeing the great things this community can do together. There are a load more pictures in my gallery below to check out. Elvine has a video of his stream from the day which you can check out, and there’s another great one here, too. Visit the official Facebook page for running totals on the fundraising. Speaking of, it’s not too late to donate! If you want to make a donation, please do! Every little bit will help. You can make your donation on the Cleveland Clinic website. It was a really wonderful even to share with so many people. I’ll definitely be doing it again next year!